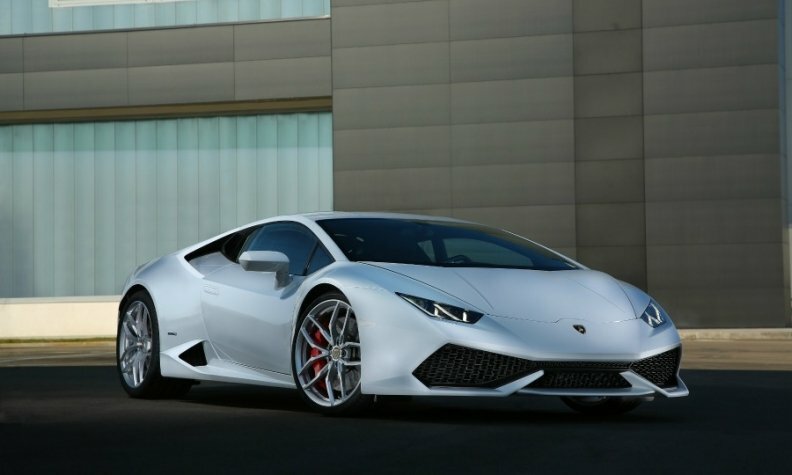 Lamborghini says the Huracan is driving sales. HAMBURG (Reuters) -- Lamborghini expects to hit a new sales record this year, benefiting from strong demand for its latest Huracan model, CEO Stephan Winkelmann said. The supercar maker last year increased deliveries 19 percent to a record 2,530 cars, a level it expects to eclipse already this month, Winkelmann said in an interview. "We believe we will conclude the 2015 business year in a better way than the previous year," Winkelmann said. Lamborghini plans to unveil a convertible version of the Huracan at the Frankfurt auto show next week, the executive said. The model will arrive in dealerships next spring. The Italian brand, part of VW's ultraluxury stable alongside Bugatti and Bentley Motors, in May announced plans to launch an SUV in 2018. The firm has said it expects to sell about 3,000 SUVs per year. Sales in China are broadly flat on year-ago levels despite the economic downturn in the country but significantly higher if Hong Kong, Macao and Taiwan are included, the CEO said, without being more specific.